On 21st this month, a SyAAF aircraft -announced a MiG-23 but variant is still a mystery- is reported shot down by ISIS fighters in Qalamoun in Batra area. The pilot -as named Ltnt. Col. Ya'rob "المقدم يعرب"- is reported ejected safely but para-dropped over ISIS held territory whom in turn returned him back to regime by an exchange of truck of ammo; referring to the crash area, this aircraft could be operating from both Nasrieyh AB or Dmeir AB. ...this is as reported by pro-regime sources. From the insurgents side, it's said the aircraft in question is a MiG-23BN operating from No. 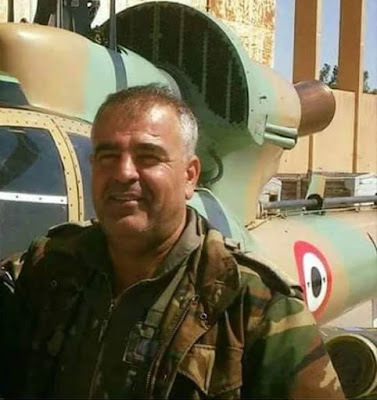 697 sqdn from Seen AB and the exchanged pilot is Lt. Col Ehab Soleiman "المقدم ايهاب سليمان" whom was handed over to regime by JAI not ISIS. Anyway, this incident IMO lacks many details and need further verification. 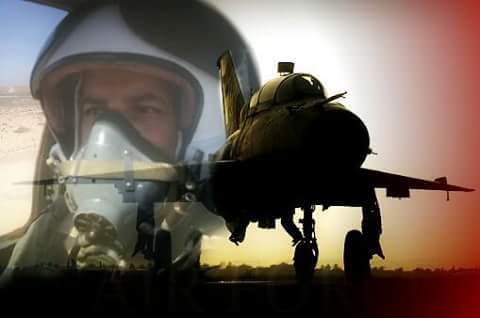 Today, ISIS fighters succeeded to shoot down a SyAAF MiG-21 piloted by Col. Ali Hamza "العقيد علي حمزة" which crashed at Al-Thardah mount area near Deir EzZour AB, the pilot is KIA. 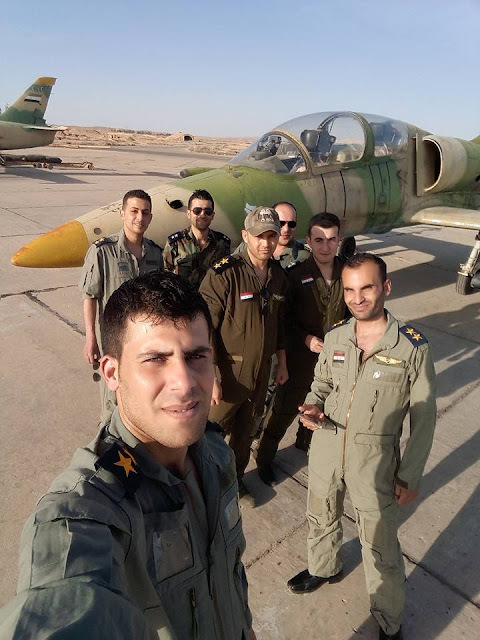 The aircraft is supposed to be operating from Qamishli airport which recently witnessed the deployment of numbers of Su-22, MiG-21 in addition to Mi-17 helicopters. 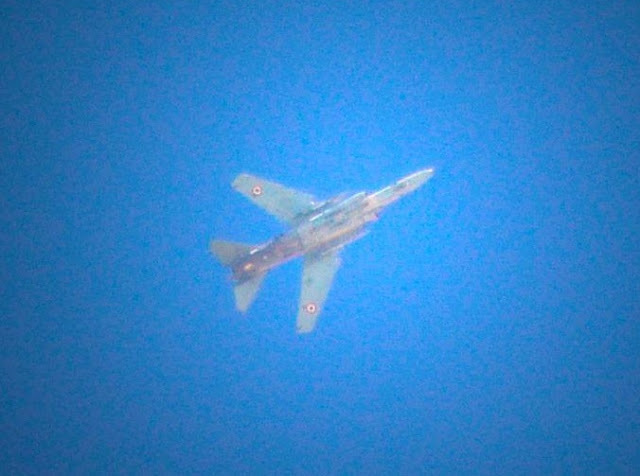 Yesterday, 4th Sep. 2016, a SyAAF L-39 -I suspect it's ZO but cannot confirm- piloted by Captain Ali Farhan Ghanem "النقيب علي فرحان غانم" has crashed nearby Sadad town (around 50km to the south of Homs city). This brings in mind that the aircraft in question should be operating from Sheirat AB which recently housed number of L-39s at the eastern side of the airfield. Again it's not confirmed whether the jet was downed by means of ground fire or countered a tech. failure caused this incident; the pilot is KIA. Yesterday 2nd Sep. 2016, a SyAAF SA 342 Gazelle helicopter piloted by Col. Mohammad Ali Habib "العقيد محمد علي حبيب" and Major Alaa' Ahmad Dayyoub (or Deeb) "الرائد علاء أحمد ديوب أو ديب" was targeted and successfully hit by a TOW ATGM while the helo was patrolling nearby Al-Khattab village to the north of Hama city; both pilots were KIA. Since Hama AB didn't house any Gazelle during the last short period, I can suspect the Gazelle was operating from Stamo newly established airbase. This incident -footage can be seen in this VIDEO- reminds me of a similar one when a SyAAF Mi-8 was targeted by an ATGM when approaching to land at Abu DhHoor AB on 8th Sep. 2014.